After about two years and two bottles of ego QV Skin Lotion, I found myself with a decision to buy another brand. This time it was because I waited to the very last minute to repurchase the lotion and I ran out of it and my skin was peeling profusely and there was no QV Skin Lotion in sight at the shop I was in. 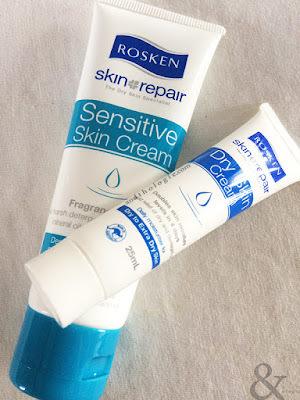 And so I bought the Rosken Skin Repair Skin Cream. But I didn't buy the Sensitive version then. I chose the smallest tube I could find which was the Dry Skin version because I didn't know how my skin would react. The rationale was a smaller tube might not be too much a waste of money if my skin reacted badly to it. It turned out that I need not worry; and I bought a second tube, a bigger one, and one specifically for sensitive skin. 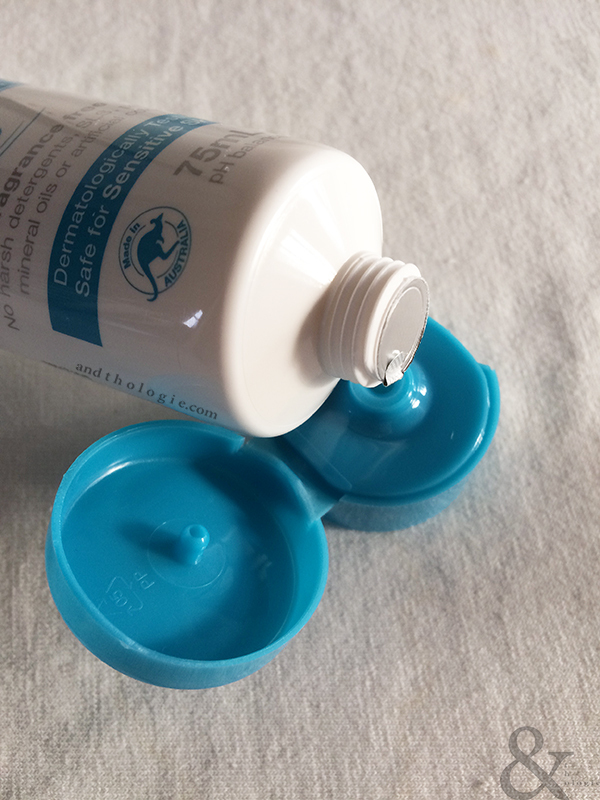 Before you can even begin to use the cream, you will have to remove the cap and the protective covering underneath. Otherwise you can squeeze the tube till you're blue like the tube and still no cream will come out. The texture of the cream is not what one might usually call 'creamy'. It is very light and you'll only need a little every time especially if, like me, you use it regularly every day. I find the Dry Skin version slightly [only ever so slightly] greasy. And what I absolutely love about it is that it instantly melts into your skin as if you never put any cream at all but left your skin moisturised. 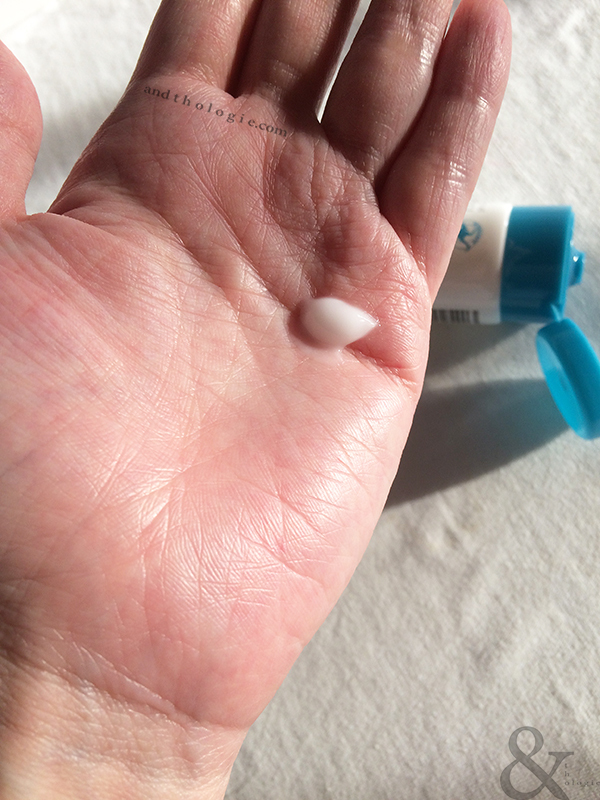 I have mentioned before that I use whatever moisturiser I'm using for my hands on my face. This is still true and Rosken, especially the Sensitive version because this is what I use more often, doesn't leave my face clogged and greasy or even irritated. I'm not particularly sensitive to fragrance in moisturisers. I don't know if this is because I'm quite particular with the moisturisers I use or I've been lucky that I've had no bad reactions to them. And so it is in this case. There's no perceivable scent in the Sensitive version but there's a slight pleasant scent in the Dry Skin version, and as mentioned, my skin hasn't reacted badly to the fragrance. 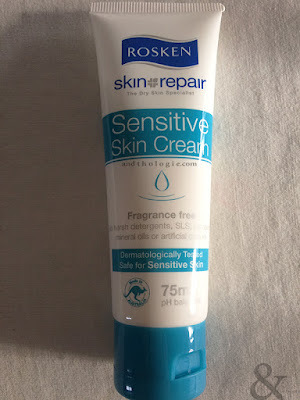 One important thing that I have purposefully put off to the very last is that, I notice I use less corticosteroid ointment [for my eczema] while using this cream, even markedly so than when I was using QV Skin Lotion and definitely compared to all of the other moisturisers I have tried and some have even written about. I don't think I have changed any of my routines or diet, so I attribute having less flare-ups to the Rosken. I might keep on using this, that is, until I can't find one at the stores, or until I purchase other brands on a whim. I now have the little tube in my bag for on-the-go moisturising, and one bigger tube at home, although I don't know why the Sensitive version doesn't come in travel-sized packaging.